This completely unique species is hands-down the best garden plant that we have seen in years of evaluating new plants. It quickly grows to form a full, dense, landscape specimen, eventually reaching up to 3-4' tall and 1-2' wide. Tons of strong, tall stems are topped with exploding bursts of full, large 1" blooms in hot pink tipped with bright yellow. A showstopper in the garden and conversation piece when cut for a mixed bouquet. Gomphrena, Fireworks is rated 4.4 out of 5 by 29. Rated 4 out of 5 by Kd_greenthumb from Awesome plant- five stars: challenging from seed I've ordered seeds twice and I'm ordering seeds again for this plant because it is awesome... Big, vibrant and full of blooms. Five stars for the growing plants! Starting these from seed, three stars! It's available from Burpee as seeds or plants, so obviously some of these reviews are people who bought seeds, while other reviews are people who bought plants, so be careful of the difference in reviews. The plants are everything the description says about it...a bold, airy, attractive 'wildflower' look, that needs space to show off. Passerbys have stopped me to ask what it is. However, I find sprouting and growing the seed challenging compared to many other flowers, which may be disappointing to some considering the cost of the seed. It's weird that they seem to reseed somewhat easily, when I have difficulty with them. I've never tried ordering the plants from Burpee, but that might be an option I'll try. Rated 5 out of 5 by What from Fantastic as a mass planting I didn't realise how large it would be. But it's gorgeous. Lasted all summer in Boston area. Still going strong in the sun. It's all around the USNatural History Museum in DC in large mass plantings & looks wonderful. Highly recommend it! Rated 5 out of 5 by honeyrose from Beautiful! I have purchased these plants from Burpee for a few years. I have never been disappointed. The plants arrive healthy and stay healthy, grow fast and bloom like crazy.The butterflies love them. I will be ordering again as soon as they are available. Thank you Burpee for the fast service and the healthy plants. Rated 5 out of 5 by Kelmar from Summer color I saw these at a friends house 2 years ago and thought I would give them a try. They are great! 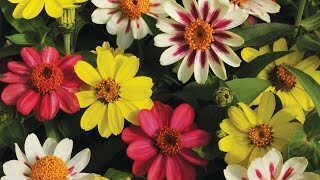 Very easy to grow and you get color all summer long. Full sun and water every 2-3 days. That's all you have to do. They do very well in a large pot or in the ground. Rated 5 out of 5 by Tozpool from Unusual flower Started blooming just in time for the 4th of July. I bought it as a plant and not from seed. My seed ones are about 6 inches tall and one is starting a flower and it is the middle of July. It grows taller than the regular gomphrena and blooms are not as close as in the picture but still a nice flower. I would put a bunch together or as a backdrop for other flowers. Rated 5 out of 5 by Kayrie from Mid-summer thru fall bright bloomer I have bought these every year for the past 4 years and have been continually happy with them in Zone 7 with lots of compliments. The blooms are small, on long stems that stay upright, and are quite prolific. Rated 5 out of 5 by Glee from Fun showy plant Give it room to grow and spread. Good for cutting for bouquets. Rated 1 out of 5 by Hosky from Poor luck I received a gomphrena a few years back and fell in love with the plant. However my recent order was the second time I have ordered and I am sorry to say neither time did they survive. I followed the planting instructions as did the other two ladies that I shared the seeds with...theirs did not survive either. All seeds sprouted but only achieved 1/2" height before dying. Not sure what went wrong; I am very disappointed. I've also ordered a few live plants: lilac, doing well; 3 eucalyptus, doing well; 3 begonia; all died.